Let's Sing Christmas! - Main Weekend 28th November to 1st December 2019. Other dates available throughout November and December upon request. Limited availability offer - for only an extra £20 per person extend your stay to arrive Thursday and receive an extra night’s accommodation and TWO extra days hopper park tickets! The ultimate festive singing experience for all types of singing groups! 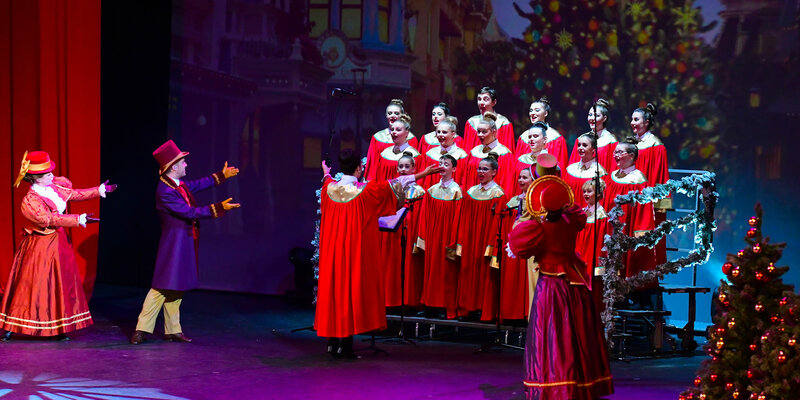 In a new show designed to showcase singing groups in a magical Disney spotlight, join us for Let's Sing Christmas on the Videopolis Theatre stage in the Disneyland® Park and spread some festive cheer to a packed audience from all over the world! 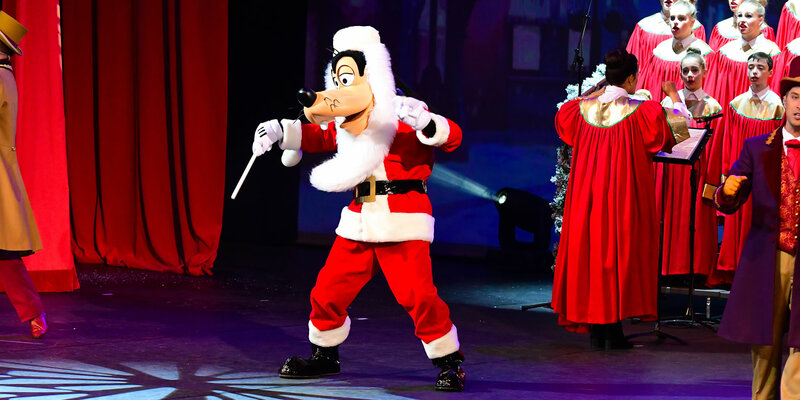 Be a part of the story as your group helps Mickey, Minnie and Goofy plan a special festive surprise for the audience. 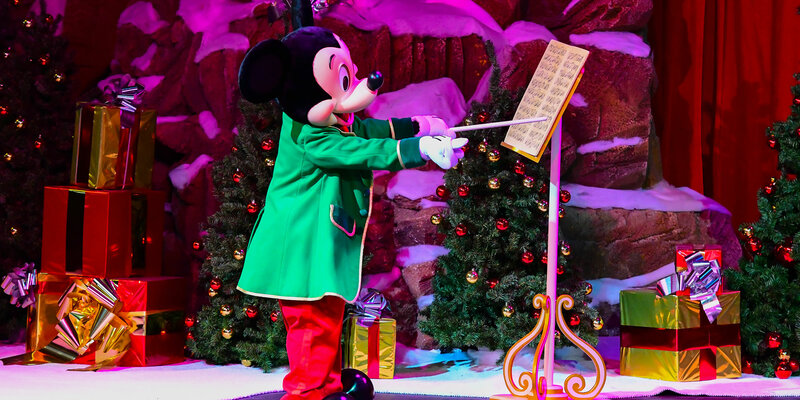 Put on special Christmas costumes and let Mickey and friends conduct you through a selection of rousing and emotional seasonal classics. 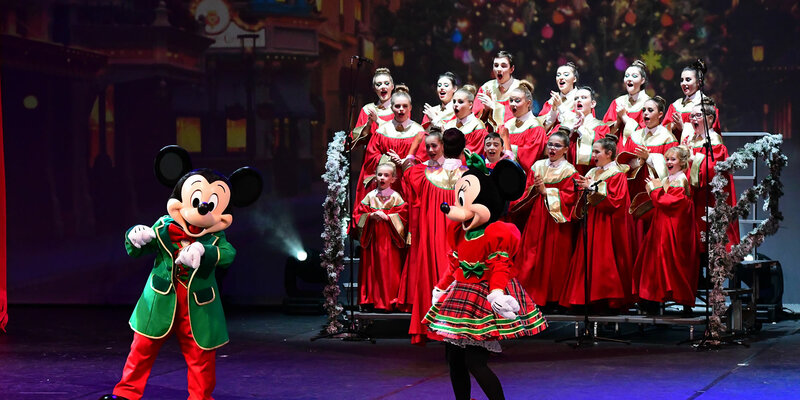 In a magical show, choreographed and designed by the Imagineers from Disney Performing Arts, this is an unrivalled opportunity to be a part of Disney’s festive schedule and become a honorary Disney cast member. Trust us, there won’t be a dry eye in the house as family and friends watch on proudly as singers shine on a specially decorated stage. Featuring all the Disney magic you could wish for, with full professional lighting, projection and sound (and dare we say...a sprinkling of sparkle and snow). Throughout our 2018 performances, Let’s Sing Christmas attracted full capacity audiences in the Videopolis Theatre, with seats at a premium, we encourage guests to get there early to avoid disappointment! The interactive nature of the show, including huge projected ‘sing-a-long’ style graphics on screen and Disney professional singers mingling out into the auditorium, encourages wonderful audience interaction and participation in a magical festive atmosphere. • Experience the full magic of Disneyland® Paris with 3 or 5 day unlimited entry tickets to both the Disneyland® Park and Walt Disney Studios® Park. • Disney themed onsite accommodation for 3 or 4 nights at Disney’s Hotel Santa Fe® or Disney's Hotel Cheyenne® with Continental Breakfast included. • Each group leader will receive a professionally edited video of your groups performance on Vimeo to share with your performers, friends and families. • Each group leader will receive a Disney PhotoPass+ allowing you to collect all of your Disney Characters’ Meet and Greet and Attraction photos as high quality digital images to download and share. • Each performer and teacher will receive a souvenir lanyard and park ticket holder. • Each performer and teacher will receive a drawstring bag. • Services of the Perform in the Magic management team in resort to assist with your stay and performance. "I would like to thank you for organising what has been one of the proudest moments of my teaching career so far and the highlight of our year for the Voice Your Voice choir. The show was above and beyond what we expected and we were truly honoured to be part of Let's Sing Christmas 2018. All the children and parents were absolutely delighted with the show and the whole experience from start to finish. Your staff were fantastic and made everything so easy. We can't wait to receive our edited version of the show and our time at Disneyland Paris. I just wanted to get this thank you to you asap as we were just thrilled with our experience. Best wishes"
MISM, ALCM, AVCM Hons, BA Hons. Due to the limited number of performance slots and accommodation packages, applications will be accepted on a first come first served basis. Audition repertoire needs will be specific to this event – each group is required to send 2 full non-religious Christmas songs, the rest of our audition criteria remains unchanged & should feature at least 90% of your performers requesting to perform. Depending on the number of confirmations, groups may have the opportunity to perform in 1 or 2 shows per day over the 2 days and should be ready to perform in both shows each day if the opportunity opens up. Show times will be confirmed at a later date & may be scheduled at any time of the day. Specially commissioned Disney repertoire will be used for the performances. Following confirmation, all accepted groups will receive the pieces and will be required to learn everything for their respective show date. 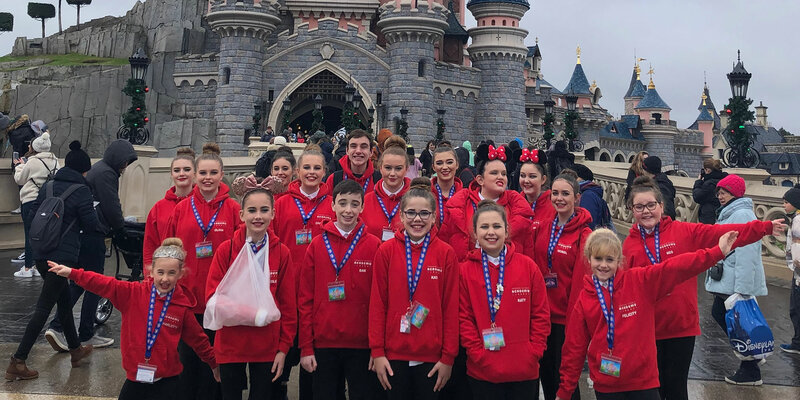 Performers are required to wear black bottoms, black tops & black closed toed footwear with no visible logos - Christmas coloured capes/gowns will be provided by Disney for all performers to wear during the show. * Minimum age for Let's Sing Christmas Performances participation is 5 years old, with a minimum group size of 10, all applicants are subject to audition with Disneyland® Paris and all Disney® conditions. Disney® Character Meet and Greet Character Experience is subject to availability. Group leader free place is subject to minimum group size and room restrictions.